Woo hoo! “A Toronto Symphony” is finished!! Here’s the first page of the score. Tod worked non-stop orchestrating it over the past month, with a major push in the middle of the weekend blizzard to assemble the complete score. He received invaluable help from a hardy band of Media Lab students and producers who trekked through thigh-deep snow to get down the unplowed driveway and out to the barn. 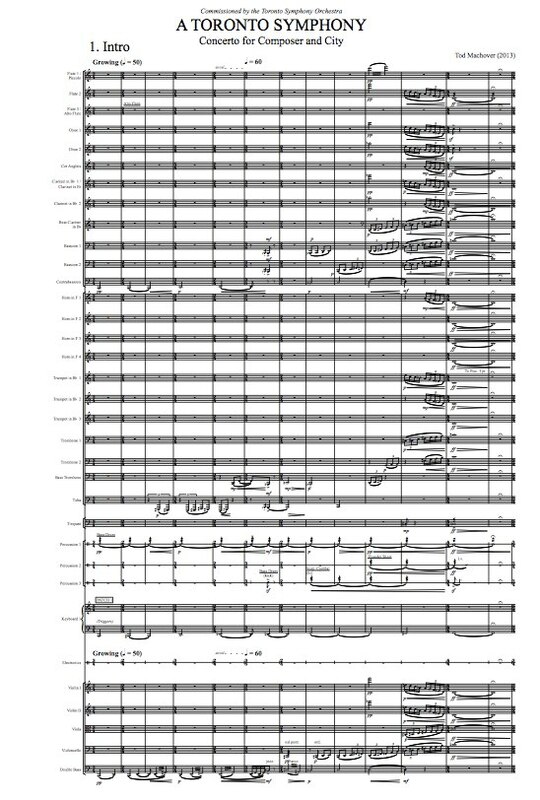 The score was sent it off to conductor Peter Oundjian last night, and Tod will fly to Toronto on Thursday to go over everything with the orchestra. There’s still a huge amount of work to get the piece ready for its premiere on March 9th. Reserve your tickets here!